Sealants are a protective coating that will cover the biting surface of the molars that help prevent the adherence of food particles and plaque in the pits and grooves. 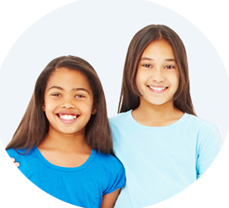 After sealants are placed, your child may notice a slightly bitter taste which will go away with water and normal eating. Sealants may temporarily cause a slight difference in the bite, and your child may mention this. Within a few days it should feel back to normal. Your child may eat and drink right away after the appointment. Your child should refrain from eating ice or hard candy, which tend to fracture the sealant. Over time the sealant may show some normal wearing, more so with children who grind their teeth or chew gum frequently. 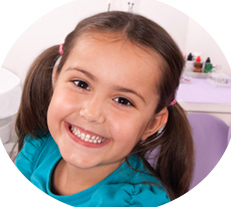 Dr. Dail will always assess your child's sealants at each checkup and will repair if necessary. The appliance should stay cemented firmly in place. If it becomes loose, dislodged or broken, please save the appliance, and call the office for an appointment. Minimize the amount of sticky foods or candy your child eats (gummy bears, taffy, caramels, gum, etc.) since this may cause the appliance to become dislodged. 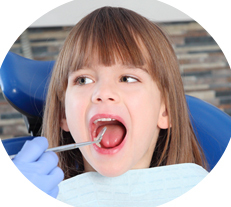 It is important to keep your child's teeth and appliance as clean as possible. Make sure all food is cleared from the surfaces of the bands after brushing. Loose appliances must be re-cemented as soon as possible to prevent breakage or decay underneath. If your child needed local anesthetic for a procedure, then his/her tooth, lip, cheek, and tongue may be numb for at least an hour after the appointment. Please discourage touching, sucking or chewing of the numb areas. Have your child bite on the cotton roll provided as long as possible. We ask that you make sure the cotton roll is partially visible from your child's mouth so you know where it is at all times (to prevent swallowing or aspiration). If accidental biting occurs, the area may swell up for 1-2 days and possibly take a week to heal. The area that was bitten may appear yellow while healing. A milkshake or smoothie may be helpful after the appointment while the anesthetic wears off. Once the anesthetic wears off (in about 1 hour) it is safe to eat. After the appointment, your child can usually go back to school—please let the teacher know to watch for biting of the numb area. Give Tylenol or Motrin as needed. Most times it is not necessary, but it may help the transition while the anesthetic wears off. The gums in the area of treatment might be red and sore for a few days, so encourage your child to keep the area clean with gentle brushing and flossing. Your child should be watched closely so he/she does not injure his/her lip, tongue, or cheek before the anesthesia wears off. Reduce activity level for 2 days. Diet: Do not drink a carbonated beverage for the remainder of the day. Do not drink through a straw for 5 days. Cold, soft foods are ideal the first day. When your child is feeling better the consistency of foods can progress as tolerated. Until healing is more established, avoid foods such as nuts, sunflower seeds, rice, and popcorn that may get lodged in the surgical area should be avoided. A collagen matrix material that aids in clotting is usually placed in the extraction socket site, it will dissolve on it's own, however it can sometimes come out. As long as the area is not bleeding, there is no need for concern. Bleeding: Do not be concerned if bleeding continues for a few hours. Place cotton gauze firmly over the extraction area and bite down or hold in place for 15 minutes. This can also be accomplished with a tea bag. Repeat if necessary. If unusual or sustained bleeding occurs please call our office. 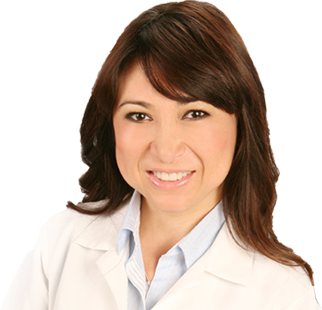 Please do not hesitate to call the office @ 909.305.0642 if there are any questions.